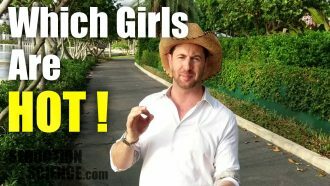 I want to share with you a tactic that is actually a mindset shift that will help you get women, succeed with girls in a more psychologically healthy way than how most guys go about it. Now most men what they’re actually doing is putting up women on a pedestal in a subtle way. It’s not like they’re buying the girl flowers or taking them on expensive dates. It’s more that the way that they’re employing tactics and techniques and what do I say, how I escalate is coming from a frame of how do I impress the girl, how do I get the girl to like me, which in a subtle way is putting the girl up on a pedestal. They’re not putting themselves up on a pedestal. They’re not assuming that they are there. They’re not assuming value. The way you can tell this is even if the guy does an initial approach. He’s very confident, he’s very smooth, and he comes across with alpha body language. He’s talkative and sociable and the girl is digging it. She seems to like him, but then she decides to pull back her attention. She starts ignoring the guy and the guy feels that vacuum. What does the guy do? He’s like, “Oh, my gosh! It’s not working. Let me change tactics. Let me change who I’m being. Let me become a chameleon and run different kind of game on her to get her attention back, to make her like me.” Rather than being like the oak tree, he’s just solid. He is who he is. He is running the game that he likes to run that self-amuses him. Of course, you need to calibrate to the girl if you say something utterly rude to her and it was just kind of a playful thing to you, but she just took it the wrong way and she reacts very negatively and she’s offended, you know you can calibrate. You can pull it back. You can even apologize. But the point is, you don’t want to be this chameleon that’s changing everything you’re doing constantly to make the girl like you, to get good reactions. Instead, you should have an inner sense of self, a core confidence that you’re running game because it’s not so much about getting girls to like you and you’re putting up girls on a pedestal and you these girls as these prizes to be won but that you are the prize. You are putting yourself up on that pedestal and girls need to win you over and you run the kind of game that self-amuses yourself. You talk about topics that interest you and you want it. The girl can follow along or she cannot. Not every girl has to like you. Some girls are really going to gravitate to what you like. I like to talk about travel. I like to talk about food. I like to talk about astronomy and space topics and some girls are not just into that. Some girls they want to talk about getting drunk and like where are the drugs. That doesn’t interest me so much. I don’t need to win every single girl. I just want to self-amuse myself. I do want to have fun while I’m gaming, and girls if they’re interested in that kind of personality and the things that I like, well they’re going to naturally gravitate to me, and I’m like the oak tree. Yeah, of course at the end of the day, at the end of the night, I’m going to say, “Okay, maybe I could tweak this. Maybe this could have been a little different. Maybe at this point, I wasn’t doing my best. I was getting kind of lazy. I might study some game, but in the moment, when I’m out there, I forget all that. I just live in the moment and I’m trying to do things that self-amuse myself that make me have fun rather than impress the girl. You’re going to get so much better results that way. If you’re a newbie, that’s psychologically a little bit easier but you’re building the wrong kind of habits. You’re going down the path where you’re learning game that’s psychologically unhealthy and not very helpful. You do it the harder way where you just put yourself out there and you’re not still worried about impressing the girl, but more about having fun yourself and making game fun for yourself and the girl can take it or leave it. That’s a little bit more difficult at first, but it’s a healthier way to run game, and it’s a healthy habit you want to build up. Again, don’t put girls up on a pedestal in a subtle way. You want to be putting yourself up on a pedestal. You always come first. 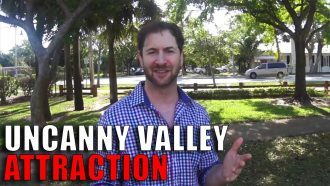 Stuck In The ‘Uncanny Valley’ Of Attraction With Girls? Hey guys! This is a very subtle point distinction I’m making in this video, but it does make a big difference. 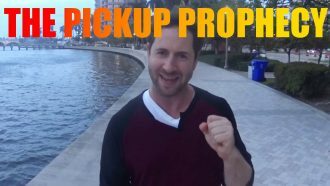 It’s natural to want better techniques, better things to say, more knowledge of pickup… but if it’s coming from the mindset of “will this help me get laid faster”, then you are feeding into the wrong frame that will stunt your progress. Watch the video for the details. Which Girls Do You Find Hot… or Not? Never run out of things to say again! Grab my FREE book Conversation Blissnosis! Hi, I'm Jesse! I began Seduction Science back in 2001 for smart guys to learn game. In those years I've traveled all over the world honing attraction technology and teaching workshops and bootcamps. But no matter what your troubles are with women... I probably had it worse! Click here and I'll tell you my story! Enter your email address to receive notifications of new videos as soon as they're posted.